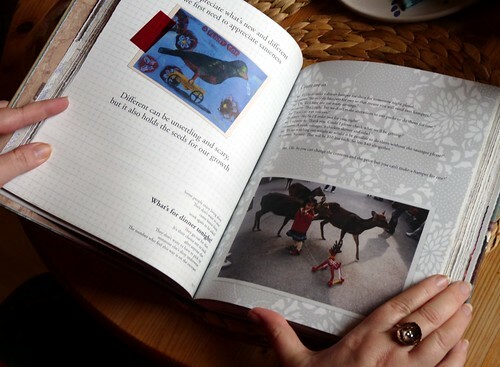 About a week ago I found a picture on Flickr, showing a book. I did not know the book, but in some strange way I had the feeling, I must found out, what it is about. I could only read „One- living and loving it“ and I googled it. So I found out, it’s an Australian book and unfortunately not available in Germany. I asked amazon.de, but no way to buy it from here. My bibliophil instinct told me, that I MUST have it, although I did not really know, what it’s about. Well, internet is a great thing, if you want to find out what it’s all about and so I looked for the author: Victoria Alexander, found her blog and left her a message. And she was e-mailing me straight back. Very nice! Later that day, I really was amazed by another e-mail, coming from Scott White, the sales director of Murdoch publishing in Sydney (where „One“ has been published), he told me, that I will be able to order „One“ soon from amazon.uk and we had a lovely e-mail chat about this and that during that day. 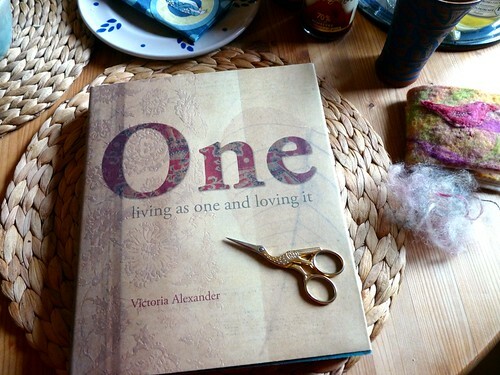 And yesterday was the day: I’ve got my copy of „One“ and it really took my breath away. 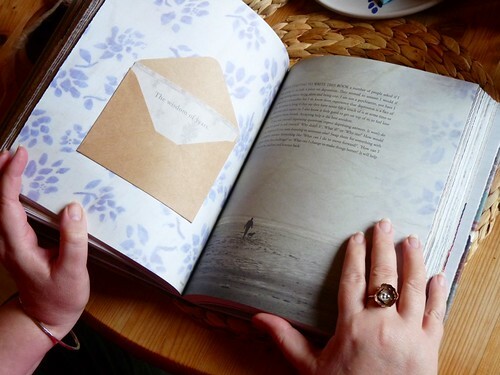 This is the most beautiful book, I have ever seen! It talks to all senses, it’s a real tactile blowoff, an eye candy, speaking in a voice that comes from the heart, it has lovely little secrets (like that little bag at the end or some hidden messages in envelopes inside), it has an unusual design (e.g. 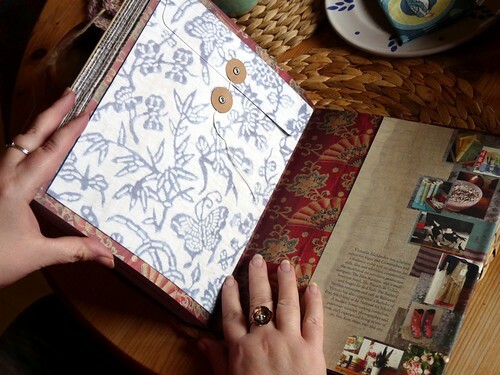 pages with a wavy cut), lovely layered pictures etc.. The more I browsed through, the more I became pleased with my purchase. And the topic? It’s about being „one“, being one with yourself, finding out who you really are, not letting anybody tell you, that you are an unfinished half without a partner at your side. It’s also about the world and its people being one. In fact that’s what I always feel about the internet, this was invented to connect people, to make this planet a lovely neighbourhood, to become „one“. This book has also given me a break from watching the shocking news about the Japanese earthquake and worrying about having another Tschernobyl in the world. And I am grateful for that. So I want to say thank you Victoria, you really have done a great job and I love the way you put the pictures together and the way you are writing. And I want to say thank you Scott for leading me to purchase it, Murdoch publishing made this a real gem! And I hope, one day it will be translated into German, because we Germans are great book lovers and I know this will be a real success here. What lovely hands you have (compared to my rough snaggly extremities!) Thanks for the recommendation! That is an incredible-looking book! I am going to look it up, too. The book looks enticing FM. Thanks for highlighting it. Julie wrote what I was thinking about your hands. Thanks for letting us know about this book. It looks so special and unique! I agree! It looks enchanting... I will have to put it on my wish list I think. And I was thinking how pretty your hands were too! oh my this looks wonderful, like ETC. another book that I adore!